The modern home of high stakes poker, Macau, was thrown into the spotlight this week with the release of a short film entitled The Audition. 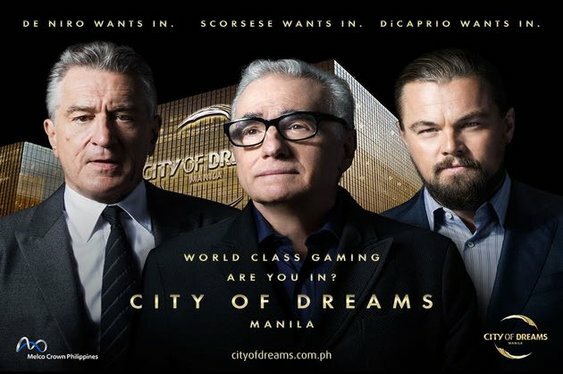 Starring Robert De Niro, Leonardo DiCaprio, Brad Pitt and Martin Scorsese, the short film is less of a Hollywood blockbuster and more of an extended promotional piece for Macau's latest super casino, Studio City. According to a preview of the mini-movie by Rolling Stone, The Audition was commissioned by Melco Crown and reportedly cost $70 million to make. Not only that, but rumours suggest that the mini-movie's stars each netted $13 million for two days work. The trailer for the glorified advert shows De Niro and DiCaprio arriving at the newly constructed Studio City to audition for a role in Scorsese's new film. Unfortunately, the two actors (playing themselves) are auditioning for the same role which, naturally, causes a battle of egos to ensue. Although the short film is unlikely to win any awards, the decision to promote the new casinos using some of Hollywood's biggest stars is certainly a bold statement by its owners. According to a press release accompanying the trailer, the Hollywood -inspired casino cost $3.2 billion and will boast an array of casino games and leisure activities. "This short film is a historic event because it is the first film ever to star such legendary actors as Robert De Niro, Leonardo DiCaprio and Brad Pitt in one film together. Mr. Lawrence Ho and Mr. James Packer served as Executive Producers and convinced iconic filmmaker Martin Scorsese to direct the film whom I was thrilled to have the opportunity to collaborate with," Ratner explained in a press release.